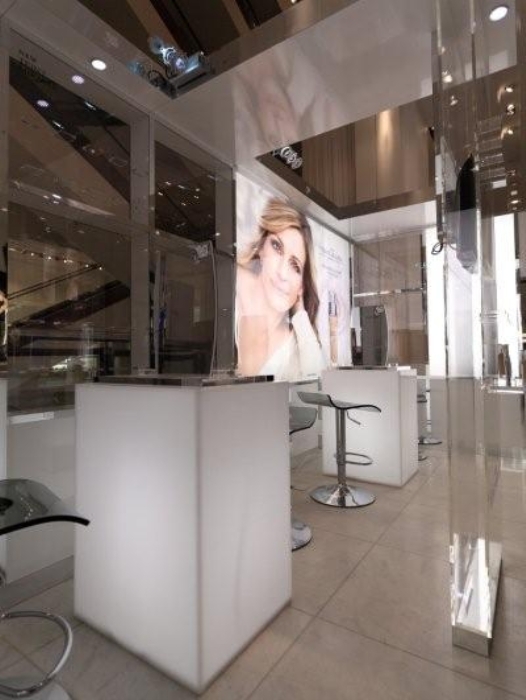 Digital Frames Direct has created a large variety of custom branded digital point of sale stands and have all the resources needed to complete any project. Digital Frames Directs large customer base ranges from Mercedes Benz, Suzuki and Harley Davidson to Samsung, Bosch and many, many more leaving you assured that we will listen to your requirements and create a unique display for you. Our Digital Photo Frames are used in a large variety of displays including Desktop and Shelf top displays, to wall mounted and floor mounted stands and dump bins. With large stock levels held in our Bristol based warehouse we have fulfilled orders from 10 - 10,000 units for projects for the local community to worldwide fulfilment. 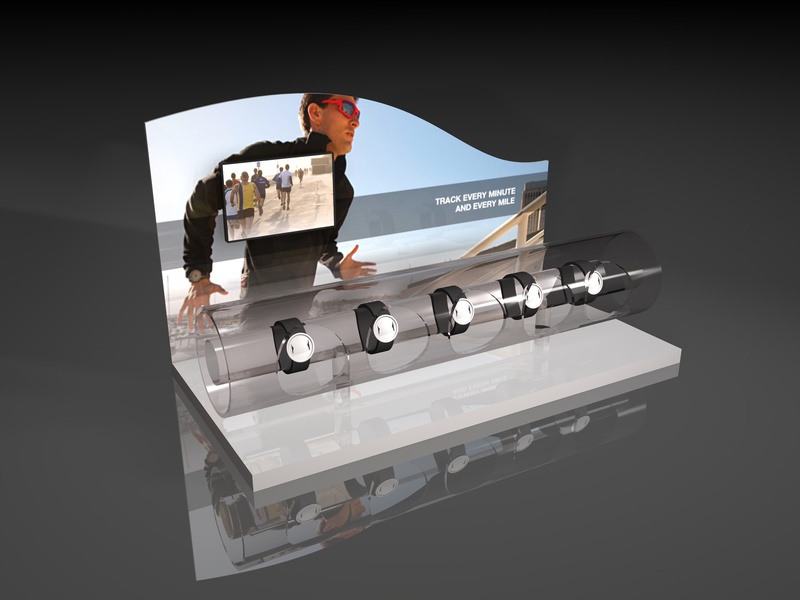 Why use a Digital Photo Frame for a Point of Sale Display? 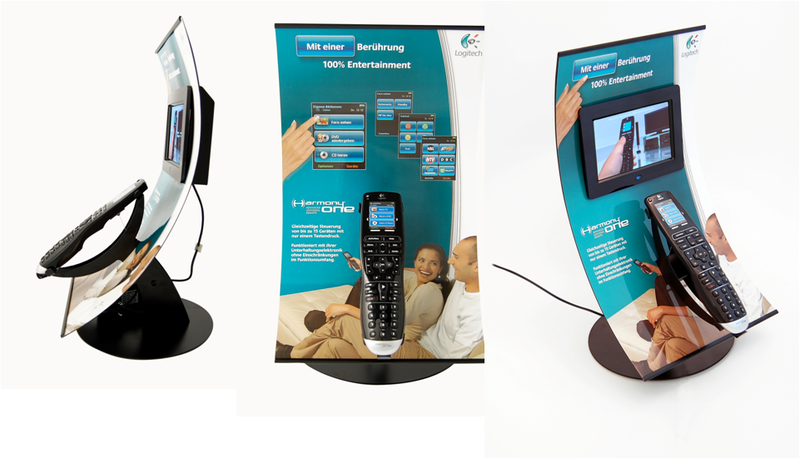 The use of a Digital Screen in your point of sale display stand is hugely beneficial for a large number of reasons. You are able to capture a customer’s attention with digital media such as an instructional video on the advertised product. This can both bring attention to the product as well as helping the customer understand how the item works and why they should buy it. 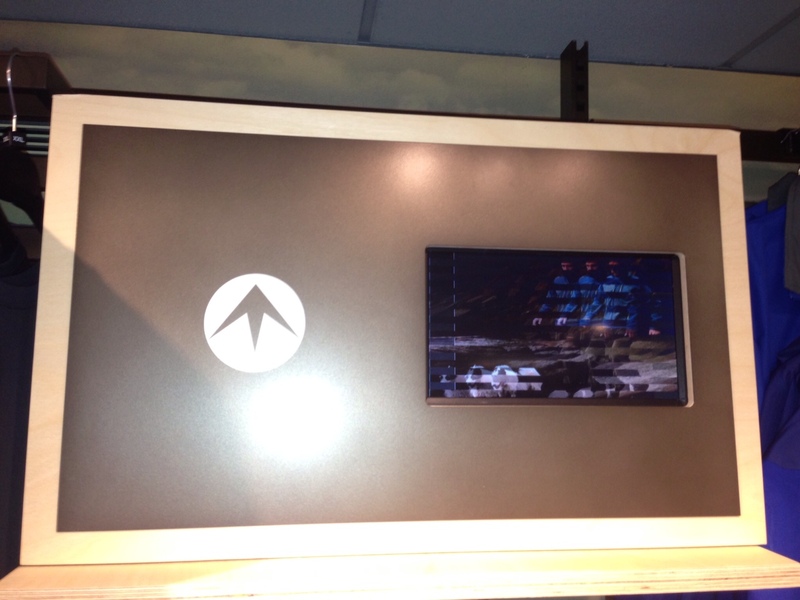 Logitech chose to include a 7” Digital Photo Frame into their advertising displays. 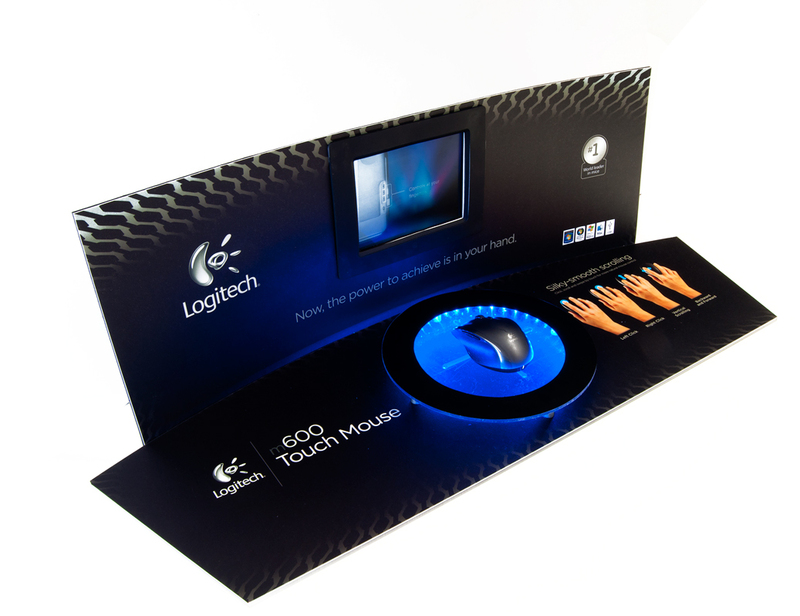 The Logitech products can be more technical than most so they have chosen to use an instructional video to help explain exactly what the product is capable of doing making this more appealing to their customers. 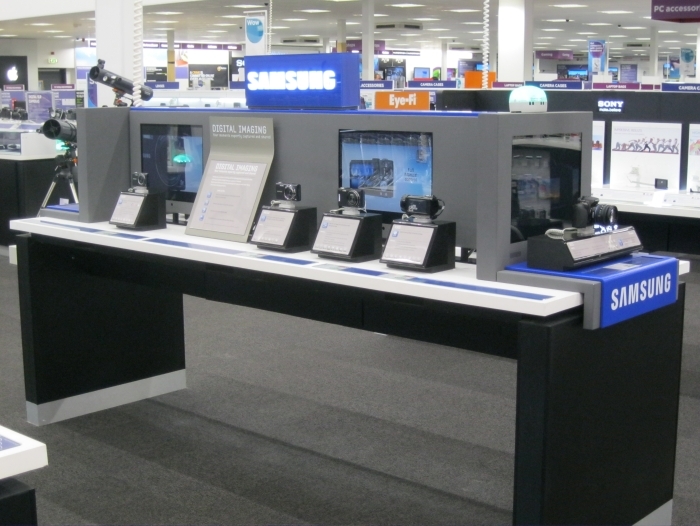 Samsung approached Digital Frames Direct looking for a large Digital Photo Frame which they could include in an in-store display to help promote their new range of Video and Photo Cameras. Here at Digital Frames Direct we felt that the best screen for this particular project would be our 19” Memory View due to the large, clear screen and fantastic video playback. 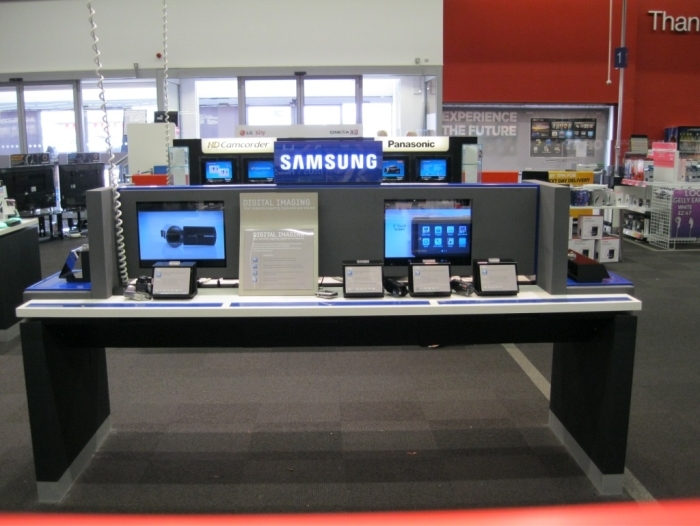 The displays have now been installed in PC World stores across the United Kingdom. Digital Frames Direct are proud to have supplied Suzuki GB with Digital Point of Sale display stands for dealerships around the United Kingdom. Suzuki contacted Digital Frames Direct looking for an effective way to promote both new vehicles and services available throughout their local dealerships. 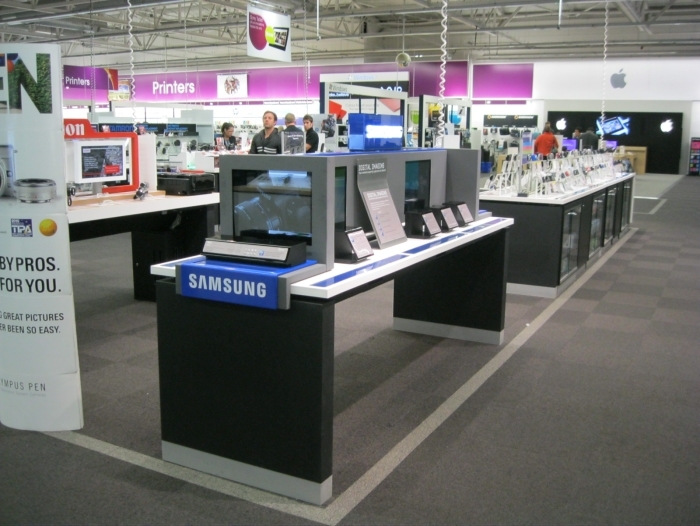 With a large range of options available, Suzuki chose to opt for a large Digital Photo Frame mounted on a free standing floor stand each pre-loaded with their own unique offers to succesfully capture their customers attention. Garmin contacted us to discuss a small Digital Photo Frame to build into a point of sale display to help promote a new range of products. Digital Frames Direct supplied a HD 7" Digital Photo Frame with a pre-loaded video file optimised specifically for this size of screen. 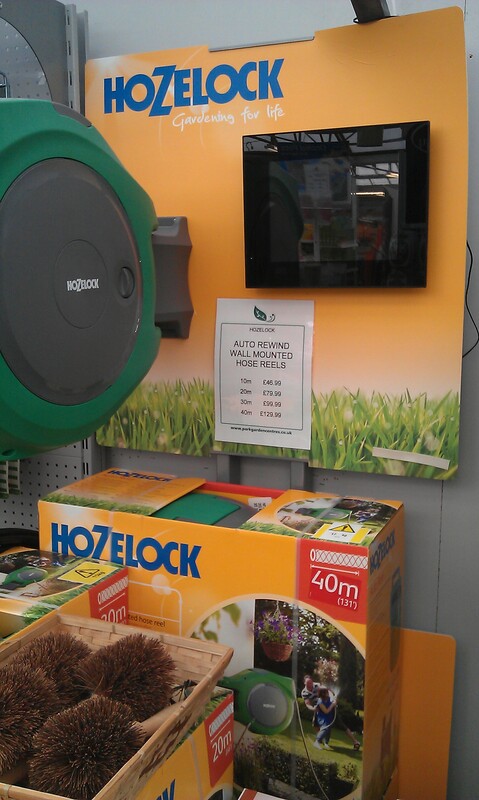 Hozelock used a 12" Digital Photo Frame to be included in a point of sale display to show an instructional video whilst promoting a new product to their range. This was mounted on a branded board attached to the wall of the shelving unit with the products displayed underneath. Wolf Garten wanted to include a Digital Photo Frame into a point of sale display for which they could promote their product range via a catalog brochure and a 15" Digital Photo Frame to loop promotional videos with instructions on how the products work. 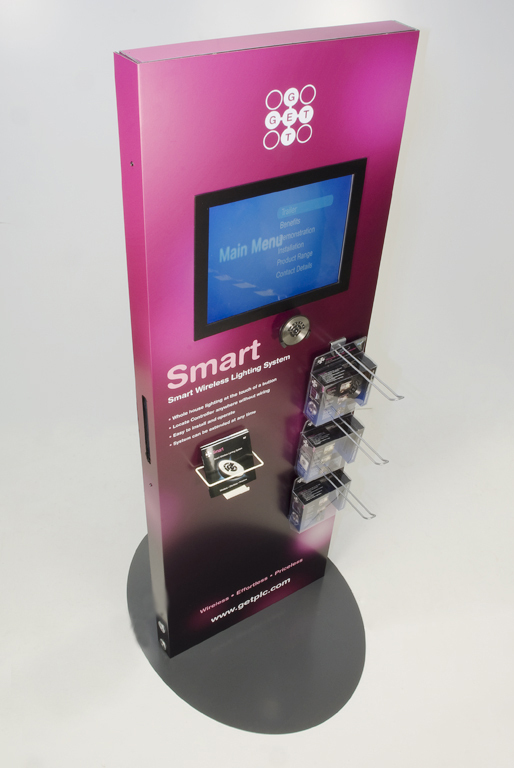 Schneider Electric, formally known as GET Interactive were supplied with a 12" Digital Photo Frame in a bespoke point of sale display stand to help show promotional videos of their new range of smart lighting solutions. 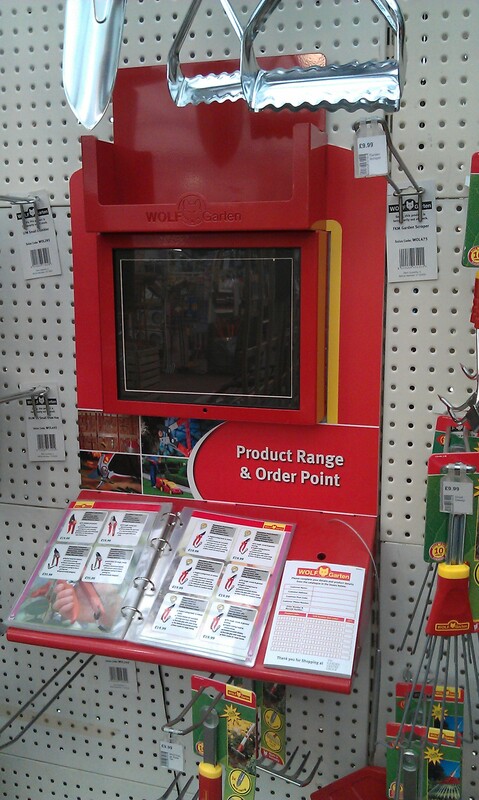 The point of Sale display was freestanding and includuded a digital screen, 3 euro hooks, a leaflet holder and an exmaple product. 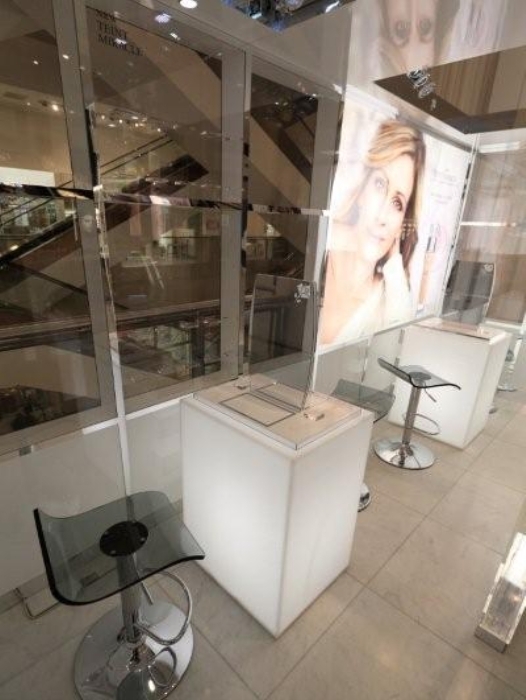 Miracle from Lancome were supplied with Digital Screens and a number of bar stools from our sister company Simply Bar Stools for their in store displays to help promote their new perfume range. Blacks Leisure Group use the range of 10.1" Digital Photo Frames from Living Images which are built into footwear shelving units and header panels to give a visual description of what is on offer in that area.